Mountains and magnificent landscapes have always fascinated Díana, and she focuses her camera lens on both. In her hiking trips and travels in search of unique nature, she has interpreted what she encounters with descriptions of the people and nature, and the interaction between the two. 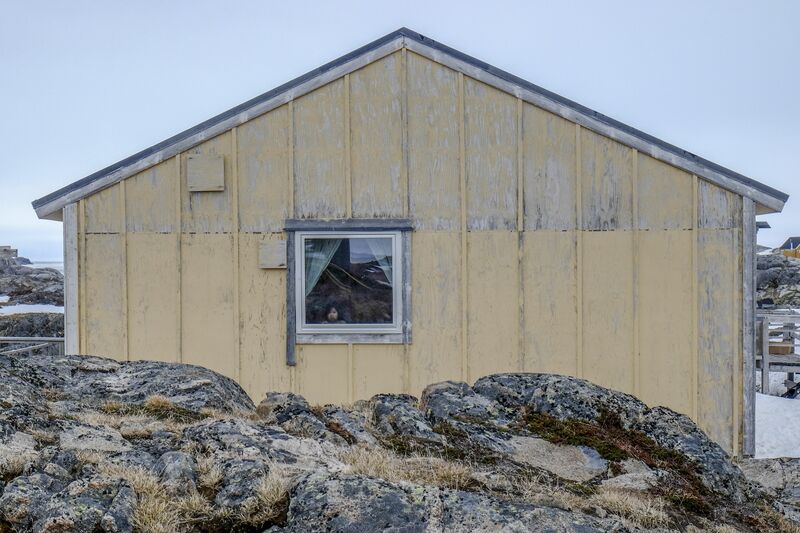 In Changing Times, Díana endeavours to present, in a poetic way, the isolated town of Kulusuk, which is often referred to as the door to East Greenland. The children of the town provide the images’ main subject matter; their future there being uncertain, due to its dwindling population. The exhibition is very much the result of inspiration provided by long-abandoned houses, children playing, and spectacular landscapes. The children are happy, powerful, smiling and humble. The town is their playground and it’s captivating in both directions – to its forgotten past and its uncertain future. The landscapes in the background are as frightening as they are romantic. Díana was born in Ísafjörður in 1973, but was raised in Reykjavík. She studied at Ljósmyndaskólinn (the school of photography) and, together with other students, took part in the 2012 school exhibition. Díana was one of eleven young photographers chosen to take part in the Samtímalandslagið (2013-2014) exhibition at the Reykjavík Museum of Photography. She held her first independent exhibition at Turninum in 2013. Díana has attracted attention, both at home and abroad, for her landscape images and especially her unusual approach to landscape photography. Angel – an image which was taken on Hvannadalshnúk (Iceland’s highest peak) in 2012, won the silver award at an international competition in San Francisco in 2014 and was on display at Gallery 17. She has a new photography book in the works featuring images taken during a hike on Hvannadalshnúk, in addition to the upcoming exhibition (this May) at Gallery Anarkía in Kópavogur.